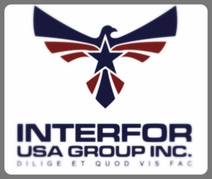 The import export aspect of firearms - Interfor Usa Group Inc. 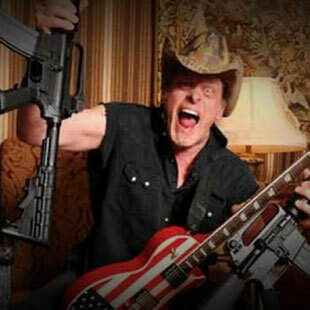 So you would you like to import firearms from the USA ? We are a licensed FFL manufacturer exporter and importer of firearms, specialised in "red tape" regulations. If you would like to import one or more firearms in your country read the following guide either for private individuals and gun shops. Do you want to grow your business consistently? We give gun shop owners the ability to import firearms so they can to meet the demand from their customers who often are discouraged from importing themselves by the mountain of compliance regulations. Consider that national level importers tend to order firearms at the beginning of the year (usually at the Shot Show in January) and place big orders to get better prices and incur lower shipping expenses. The consequence is that the firearms you need for your customers are often on backorder (despite your importer's promises of them arriving ...next week) and parts and accessories are often scarce if not impossible to find. a. That is a country forbidden by the U.S. Department of State from receiving firearms. b. If your country is a member of the European Union you are fine. 2. Contact us via email (preferred) or phone to get a price for firearm(s) and or parts. a. We can quickly meet your needs from our stock or from our network of firearms distributers. 3. Order and pay for your firearm so we can put it aside for you. a. It's important for licenses because authorities require the exact serial numbers of the firearms exported. b. Reserving your unique serial numbered firearm is a great service for you and reduces paperwork and customs problems. 4. We will prepare a custom invoice for you and you can pay by Credit Card or Wire Transfer. a. Due to merchant policy PayPal is accepted only for parts and accessories, not for firearms. 5. Pricing: our charge is $500 for paperwork which includes the $250 U.S. State Dept. fee for each application. a. This price does not include shipping, broker fees, customs fees or taxes. b. The system is engineered in a way that the more firearms you order, the more money you save in fees (e.g. the $250 State Dept. fee is the same independently of the number of firearms ordered). c. If you are a returning customer or you order 5 or more firearms we can work out a different payment system so you can save in paperwork fees. 6. Apply for a license in your country. a. We can assist you in any request of modification required to comply with your country regulations such as overall length, barrel length, caliber modifications, muzzle brake welding, folding stock locking etc. b. Your order will be checked for compliance prior to shipment. c. We believe we are the only company providing this service to our customers. 7. Once you have received your local import license we will apply for a federal export license. a. We will send you a complete DSP-5 / DSP-83 form which you will send us back signed via email and original 3 copies (via mail). b. It's important we receive BOTH forms (email and snail mail) so we can start application as soon as possible. c. Consider between 30 and 60 days between application and answer from ATF/State Department. d. Times will be shorter for subsequent imports because you have been checked before. e. Please be patient as in practice a semiautomatic civilian rifle and military F16 fighters follow the same procedure. a. 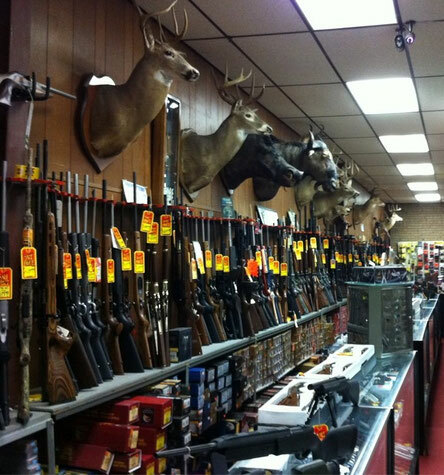 We will consign the firearms(s) to our broker or to the one of your choice. b. You will be billed for broker service and shipping handling (export) of the firearms. So you want to import a firearms in your country. Be prepared to some paperwork but the thing is not impossibile. You must NOT reside in proscribed country (Russia is proscribed at the time of this writing). If you are from a country member of the European Union you are fine. Search for your gun on the Internet (gunbroker.com - gunsamerica.com and others). contact us via email to require a price for firearm(s) and or parts. order and pay your firearm so we can put it aside for you (it's important for licenses as usually authorities require for the exact serial number of the firearm/s and not only for make/model/caliber. Remember : reserving your unique serial firearm is a great service for you and eases paperwork and customs problems a lot. We will prepare a custom invoice for you and you can pay by Credit card, Wire transfer. Due to merchant policy Paypal is accepted only for parts and accessories, not for firearms. Please note that as by Federal Firearms regulations, spare parts and accessories are considered like firearms (they are actually called Implements of war). This means that you have to apply for license unless the total value is under $100. We do not ship parts or accessories for under $100, so please don't ask as we always apply for license. A) PRICING: our usual charge is $500 for paperwork which includes the $250 State Dept. fee for each application. This has to be added to the price of the firearm and includes licenses fees etc. If you are a returning customer or you order 5 or more firearms we can work out a different payment system so you can save in paperwork fees. B) APPLY FOR A LICENSE IN YOUR COUNTRY. We will assist you in any request of modification required by compliance to your Country regulations (overall length, barrel length, caliber modifications, muzzle brake welding, folding stock locking etc.). This is great service for you (because normally other companies don't do that) and is very important for customs inspection in your country (where your firearm will be inspected for local regulatory compliance). C) ONCE YOU HAVE RECEIVED YOUR LOCAL IMPORT LICENSE WE APPLY FOR A FEDERAL EXPORT LICENSE: We will send you a complete form DSP-5/DSP-83 which you will send us back signed via email and original 3 copies (via mail). It's important we receive BOTH forms (email and snail mail) so we can start application as soon as possible. Consider between 30 and 60 days between application and answer from ATF/State Department which shorter times for subsequent imports (because you have been checked yet). Please be patient as the procedure for importing a semiautomatic rifle and an F16 fighter is the same. D) Once we your export license AND import license from your country we will consign the firearms(s) to our broker (or the one you have choices if you have one). You will be billed for broker service and shipping handling (export) of the firearms. 4) customs duties these are applied by your country. IF you are from an European country please take that SAAMI (USA) and CIP (Europe) caliber standards are not the same and that the firearms must pass a new inspection at you local proof house (and marked accordingly). THIS IS PART OF OUR ASSISTANCE and we usually carry all different calibers/gauges to have your firearms pre-inspected here preventing bad news at the proof house. As far as we know we are the only company in the US doing CIP compliance pre inspections. If you have the impression that the system has been engineered to keep the individual out of the import export market, you are probably right. Many of the expenditures items are the same for a single or multiple firearms so you are strongly advised to join forces with a firearms shop who could have an interest in importing firearms and working with us so you can save a relevant amount of money. If you want to try to import by yourself we are here to help but be prepared to add some expenses to the price of firearm. Sorry we cannot be more accurate, as shipping costa vary by transportation (airfreight=faster but more expensive and surface=slower but less expensive) and country of destination.